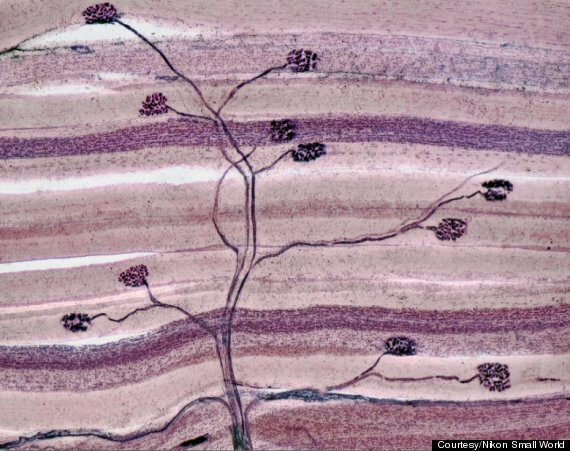 Two of the finalists in the Nikon’s annual Small World Photomicrography Competition, recognizable in their form, if not in their true identity. Here, a branch against a clouded landscape. 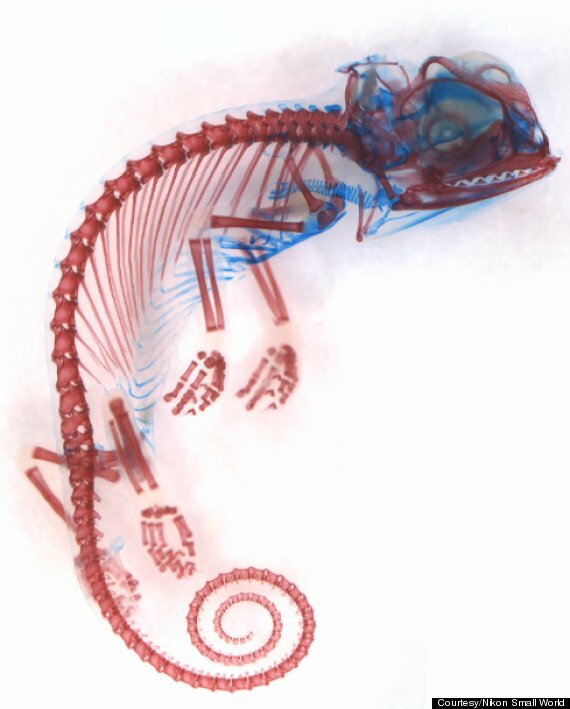 Here, a chameleon – but an internal view on two levels: The usually invisible skeletal and cartilage structure, and this is an embryo, usually invisible inside an egg. Small horizons and internal views, images of what we can’t see with the human eye, and yet manage to see anyway.